Daikin Premium Inverter provides superior comfort in next to no time. Engineered to deliver remarkable energy performance, design flexibility and R22 retrofit capability, the Premium Inverter Ducted range is perfect for providing discreet air conditioned comfort throughout your entire home. 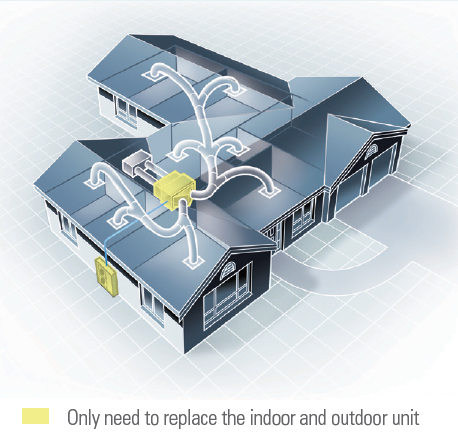 The Daikin Premium Inverter can be retrofitted onto an existing R22 system by simply replacing both the indoor and outdoor units whilst retaining the field piping intact*. Achieved with a redesigned cross-pass heat exchanger, DC fan motor and improved refrigerant control technology. An inverter system works like the accelerator of a car, gently increasing or decreasing power. They reach the desired temperature quicker and steadily maintain it without fluctuations. 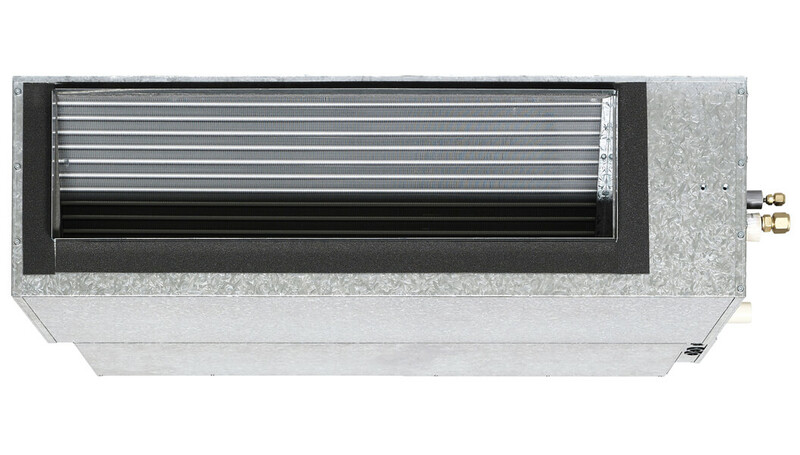 Allows continuous operations even on the hottest days of summer, or the coldest days of winter (max ambient temperature in Cooling 46°CDB and Heating -15°CWB). Indoor units are specifically designed and manufactured to Australian standards to withstand the harsher summer climate. Daikin's Premium Inverter Ducted air conditioning system provides superior comfort in next to no time. Quick and easy means to set up the operations of your unit. Program on and off times, including when to open/close zones and the temperature sensor to use. Automatic notification when filter cleaning may be required. Our new indoor heat exchangers have been designed to deliver maximum capacity output in a compact casing size. Through the use of cutting edge technologies, our indoor heat exchangers utilise Ø5mm copper pipes to ensure heat is removed from your home efficiently. Daikin indoor units are equipped with a high efficiency DC fan motor. By utilising high power permanent magnets instead of the induced magnetism of conventional AC motors, Daikin’s DC motor can deliver significantly higher motor efficiency. Daikin’s ducted units are fitted with light weight single injection moulded Sirocco Fans. These fans feature an aerodynamic fan blade design which reduces turbulence for a more efficient and quieter airflow delivery. In automatic mode, Predicted Mean Vote control measures indoor and outdoor temperatures to calculate the ideal room temperature. As conditions change throughout the day, PMV Control gently adjusts your room temperature, maintaining an optimum balance between efficiency and comfort.